The World Gold Council predicts that China could run out of gold in six years. This would represent annual gold demand of approximately $29bn at 2009 prices, he added. 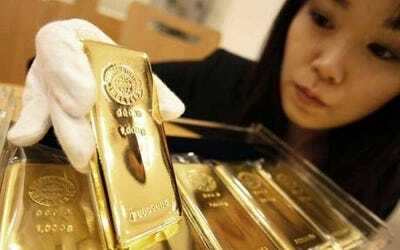 Chinese gold consumption was worth more than $14bn in 2009, equivalent to 11pc of global gold demand. During the last decade, Chinese gold mining producers have stepped up production by 84pc, although its known reserves account for just 4pc of total known global gold reserves, the council said. Assuming these figures are correct, it estimated that China could exhaust its known gold mining reserves in six years’ time. Just keep in mind that this is the group who owns the site gold.org.